Express cuticle treatment for a manicure whenever you want! Our cuticle pen repairs, moisturises and nourishes the cuticles so that they can be pushed back more easily with the pointed cap. The applicator is simple to use and helps visibly remove dead skin and enhance and strengthen your cuticles. PRUNUS AMYGDALUS DULCIS (SWEET ALMOND) OIL, ISODODECANE, PERSEA GRATISSIMA (AVOCADO) OIL, RICINUS COMMUNIS (CASTOR) SEED OIL, ALCOHOL, TOCOPHEROL, CAPRYLIC/CAPRIC TRIGLYCERIDES, ASCORBYL PALMITATE, ASCORBIC ACID, CITRIC ACID. 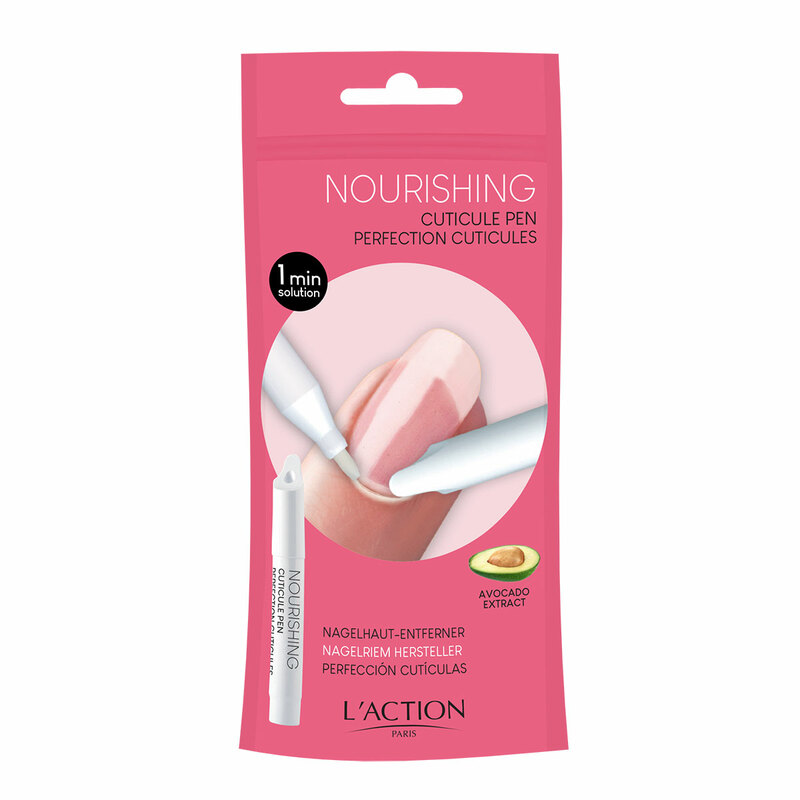 Moisturise and nourish cuticles with the tip of the pen and push them back with the special cap once to several times a day as needed.